Congratulations to Dr. Eric Freed, the Editor-in-Chief of Viruses, for being awarded the KT Jeang Retrovirology Prize 2018. Dr. Eric Freed, whose research interests focus on the assembly, release and maturation of HIV-1 and other retroviruses, is Director of the HIV Dynamics and Replication Program, National Cancer Institute, NIH. He has served as the Editor-in-Chief of Viruses since its inception in 2009. Read Dr. Freed's career and research accomplishments at https://home.ncifcrf.gov/hivdrp/Freed.html. Established in 2005 by the journal Retrovirology, the KT Jeang Retrovirology Prize is awarded to a mid-career scholar who has made outstanding contributions to the field of retrovirology. 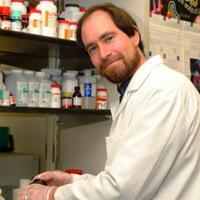 The Viruses editorial team sends their congratulations to Dr. Eric Freed for receiving this honor!